"Rododendro", 3-room apartment 65 m2, on the ground floor: living/dining room with 1 double sofabed (160 cm, length 190 cm), satellite TV and flat screen. 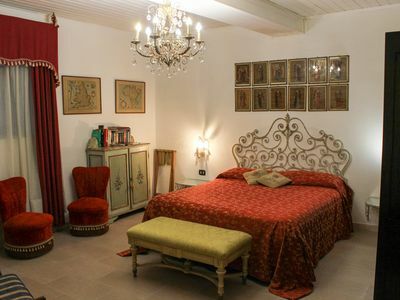 1 double bedroom. Kitchenette (4 hot plates, dishwasher) with 1 double sofabed. Shower/bidet/WC. 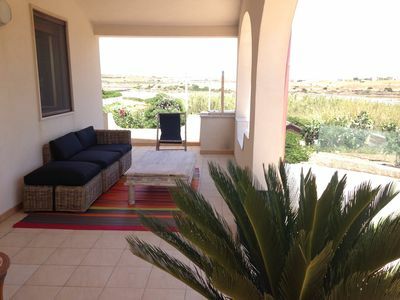 On the lower ground floor: 1 room, without window with 2 beds and shower/bidet/WC. Air-conditioning (extra). Garden 30 m2. Terrace furniture. Facilities: mosquito net. Maximum 2 pets/ dogs allowed. 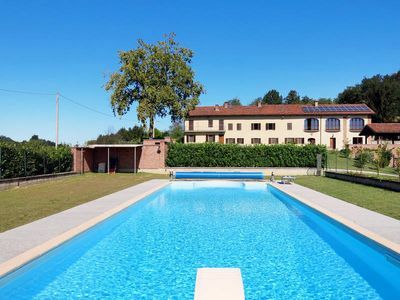 8 km from Montaione: The Residence "I Calanchi" is situated in the heart of Tuscany between Florence, Siena, Pisa, San Gimignano and Volterra on a hill near the village of Sughera (Montaione). 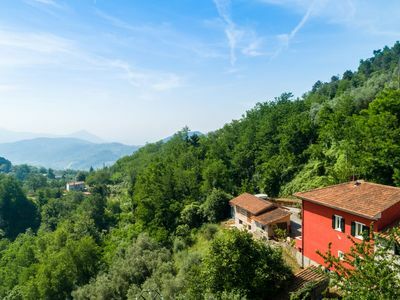 Surrounded by high cypress trees, meadows, cultivated fields, olive groves and forest: ideal place to relax but also visit the cities of art, the seaside and the mountains. We have 13 out of 16 apartments. There is a nice loggia for dining outdoor for shared use. Mountain bike for hire on site. Walking paths. Lots of very good restaurants in the area. 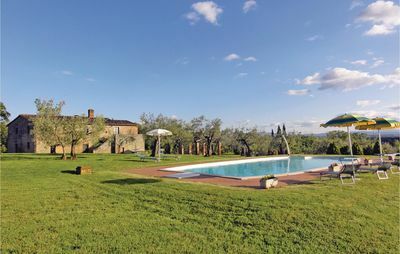 Residence "I Calanchi", 341 m a.s.l.. 25 km from the centre of S. Gimignano, Certaldo, 30 km from the centre of Volterra, 50 km from the centre of Firenze, Pisa. For shared use: garden, swimming pool (16 x 8 m, depth 150 - 150 cm, 04.04.-30.10.). 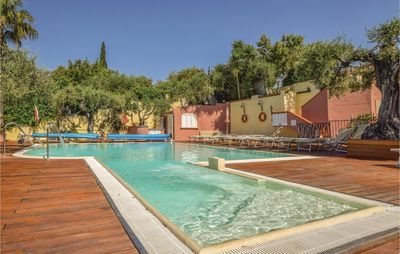 Children's pool, outdoor shower, table tennis, boccia, volleyball court, terrace, garden furniture, barbecue. 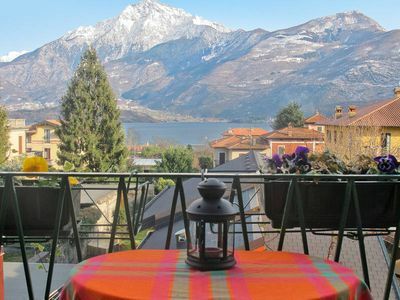 In the house: reception, internet access (all included), washing machine (extra), heating to be paid on the spot (01.11.-31.03. ), heating available only from 01.11. to 31.03.. Bread roll service on request (extra). Parking at the house. 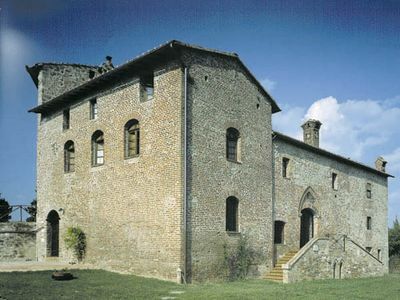 Grocery 3 km, supermarket 8 km, restaurant 3 km, bar 3 km, railway station "Castelfiorentino" 15 km. Golf course 10 km, riding stable 2 km. 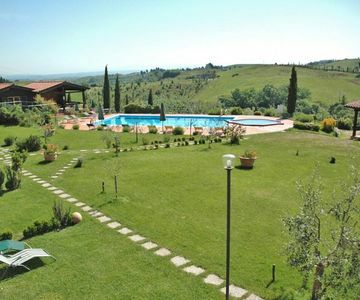 Nearby attractions: Pisa 57 km, Volterra 35 km, Firenze 62 km, Lucca 57 km, Siena 67 km, San Gimignano 25 km. Please note: the catalogue photo is just an example. 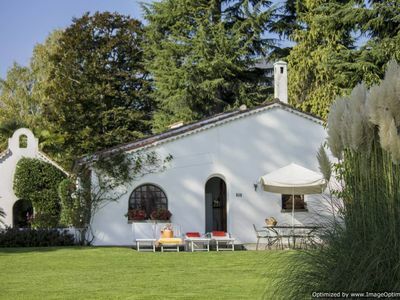 There are more similar properties for rent in this same residence.